Black GoPak with Tan Ribbon & Black Paws. 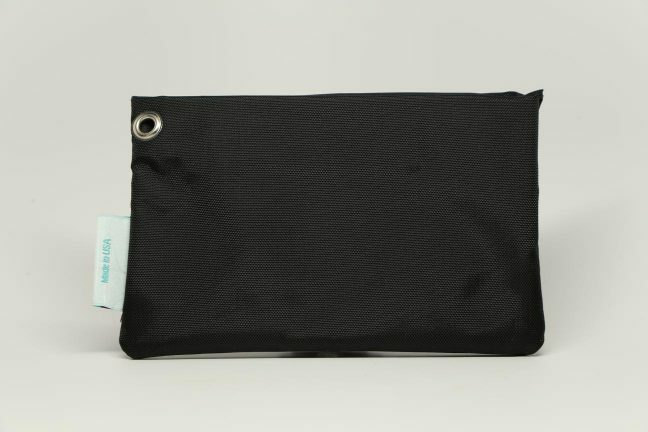 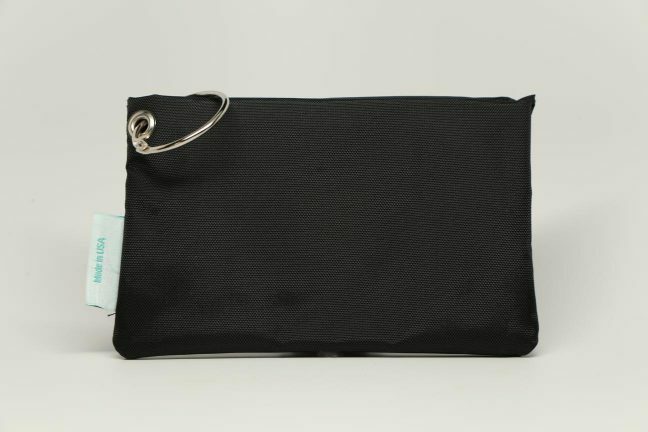 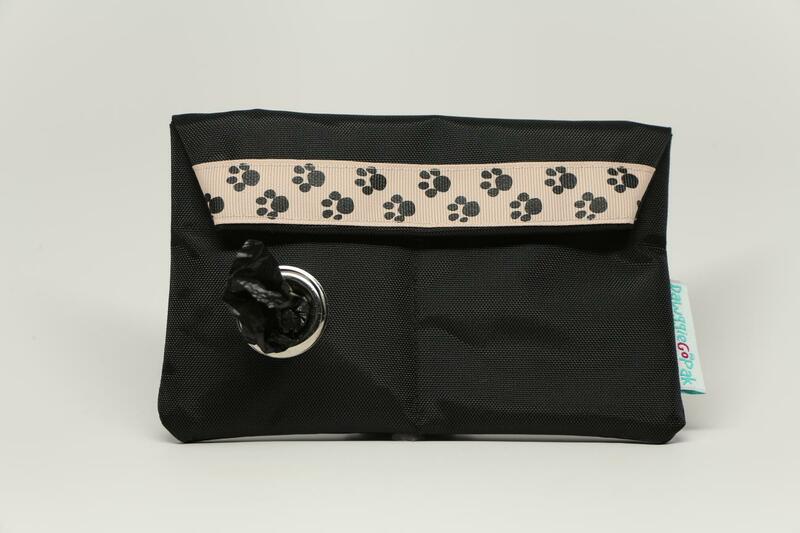 Our Most Popular Color – Black! 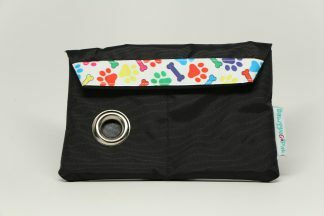 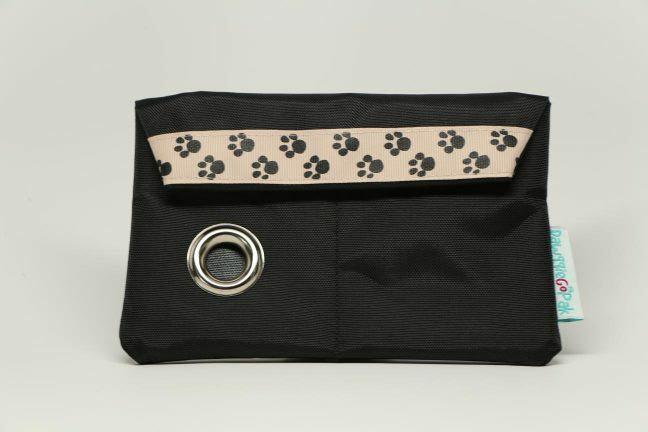 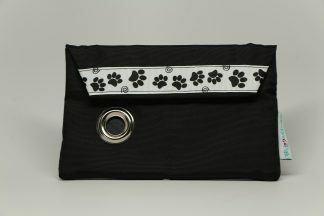 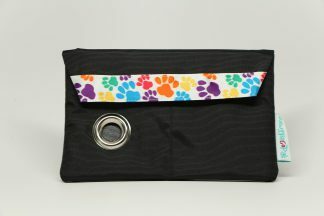 Black Dawggie GoPak Decorated with a Tan Colored Ribbon with a Black Paw Print Design. 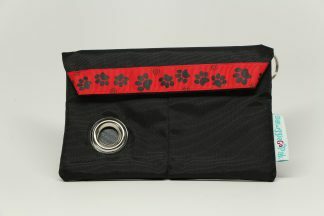 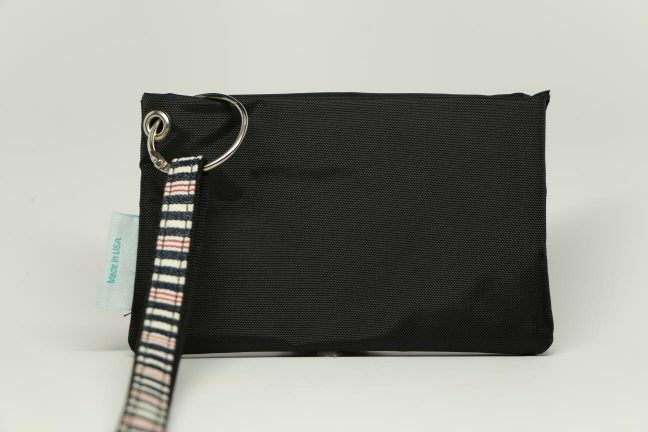 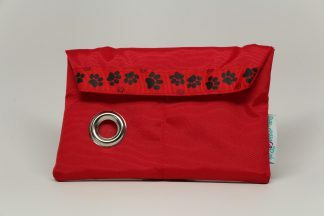 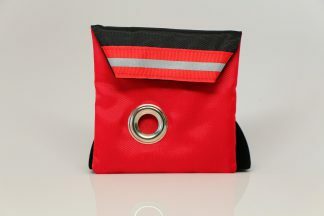 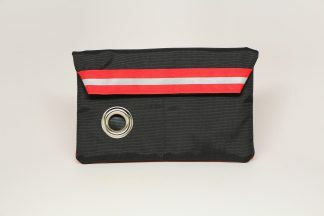 Includes a braided steel locking wire loop you can use to attach the GoPak to your dog’s leash. You can also choose to upgrade to a different leash attachment option during checkout.